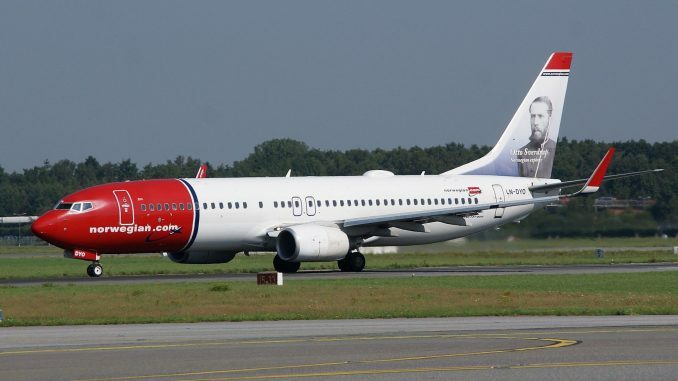 International Airlines Group (IAG) has confirmed that it will not make a third offer regarding the takeover of low-cost carrier Norwegian Air. Further, IAG will sell its existing 3.93 per cent stake in Norwegian. In April 2018, the airline group had announced that it intends to purchase a 4.61% stake in Norwegian. However, this was later reduced to 3.93%. In the meantime, IAG repeatedly submitted takeover bids for the financially struggling low-cost carrier. A successful acquisition of Norwegian would have made IAG the largest airline group in Europe by passengers carried, surpassing both Lufthansa Group and Ryanair. While IAG was attempting to make takeover bids for Norwegian, Lufthansa Group CEO Carsten Spohr confirmed his interest in the low-cost carrier in June 2018. Lufthansa would likely integrate Norwegian into its own low-cost subsidiary Eurowings, which is constantly pushing for expansion, especially after the shutdown of its largest competitor, Air Berlin. It is not known whether Lufthansa Group is still looking into buying the Norwegian carrier. Spohr questioned the ‘strategic value, price and competition regulations’ regarding a possible takeover. Norwegian made losses of more than USD $300 million in 2017. The airline recently announced the closure of several crew bases for the Boeing 737 aircraft type, in order to “improve the sustainability and financial performance“. Norwegian said these measures are part of a cost-reduction programme that was announced by the airline in December last year. IAG’s move to drop its takeover plans causes concerns over Norwegian’s ability to fund its own operations in both short- and long-term. Norwegian currently is Europe’s third largest low-cost carrier, with 33.1 million passengers in 2017 and bases in seven European countries. A subsidiary in Argentina is also part of its portfolio. The company, founded and lead by Bjørn Kjos, operates a fleet of 130 Boeing 737 (including 18 737 MAX 8) and 32 Boeing 787 Dreamliner. Norwegian became the second customer worldwide and the European launch airline of the Boeing 737 MAX in mid-2017. International Airlines Group was formed in January 2011 and is the parent company of British Airways, Aer Lingus, Iberia and Vueling. In 2017, IAG launched a new Barcelona-based low-cost airline, called LEVEL. The LEVEL brand also operates long-haul routes from Paris Orly Airport, using British Airways affiliate OpenSkies, and short-haul routes from Vienna Airport as Anisec Luftfahrt, an Austrian company originally founded in late-2017 for the proposed takeover of former Air Berlin subsidiary Niki, which IAG had ultimately lost to Niki Lauda and Ryanair in January 2018.